The Arts District in Downtown Los Angeles has seen an incredible transformation in the past five to ten years. Once a rugged terrain with industry and crime, this local is now home to many young families and hip businesses. The transformation is still ongoing, and it’s attracting some of LA’s most creative people. Warehouse buildings have been converted into lofts and apartments and its no longer home to gangs. Museums, boutique shops, hip shared office spaces and cool restaurants are popping up all around the Arts District. Its the place to be! 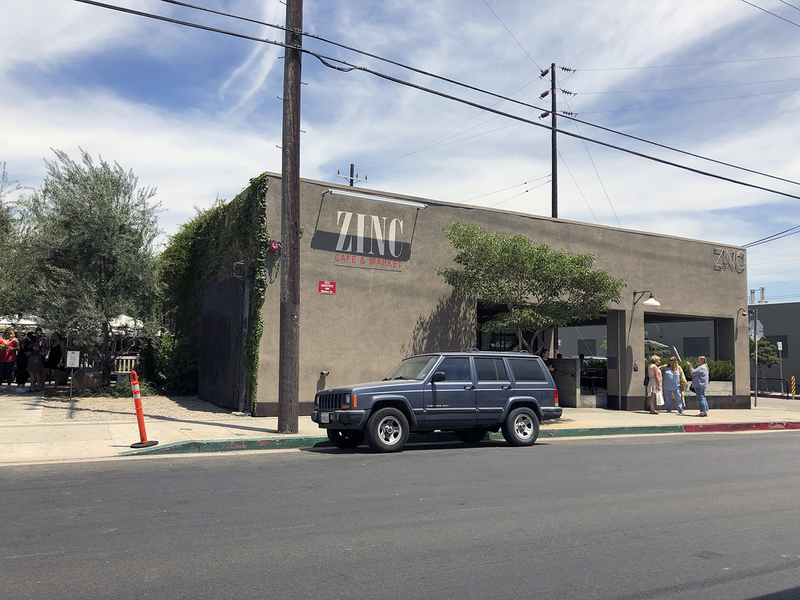 Zinc Cafe and Market is one of a few very popular and new(er) restaurants in the Art’s District in Downtown. 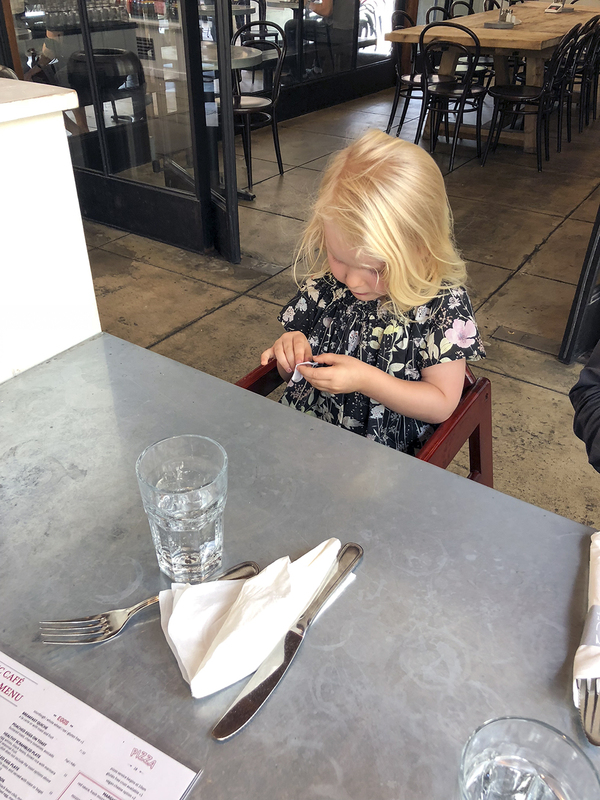 It has a very laid-back and casual atmosphere, which makes it easy to visit with kids in tow. 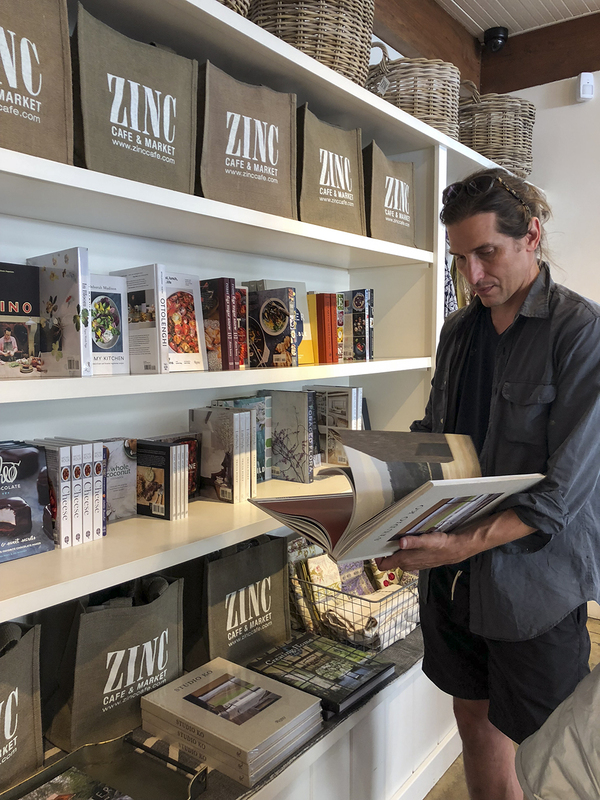 Zinc Cafe and Market itself is not new, it has been a popular spot in Laguna Beach since 1988! Only recently have they opened the location in downtown. What is unique about all Zinc Cafes is the Market inside, which reminds of the original Zinc in Laguna Beach, with it’s beach-city atmosphere. 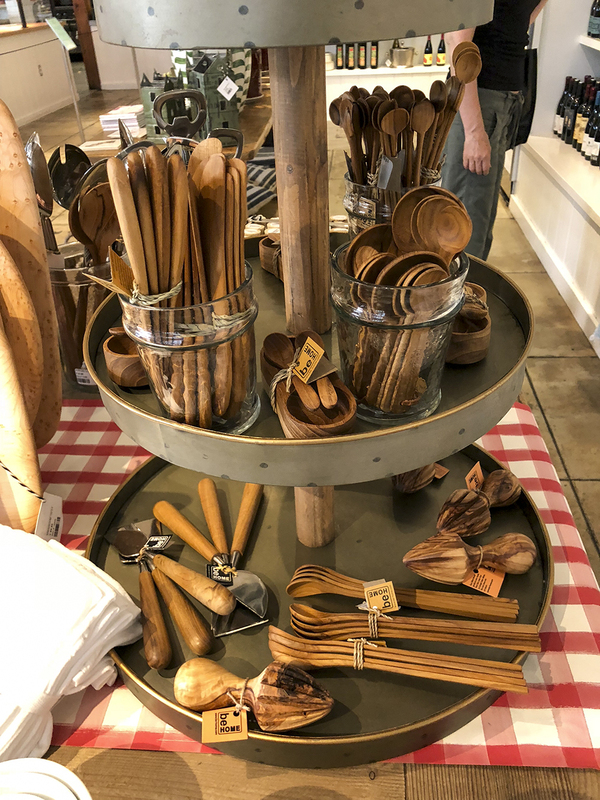 You can find wooden kitchen utensils, ceramic dishes, a nice collection of coffee table and cook books, cooled drinks and prepared foods to purchase for on the go. 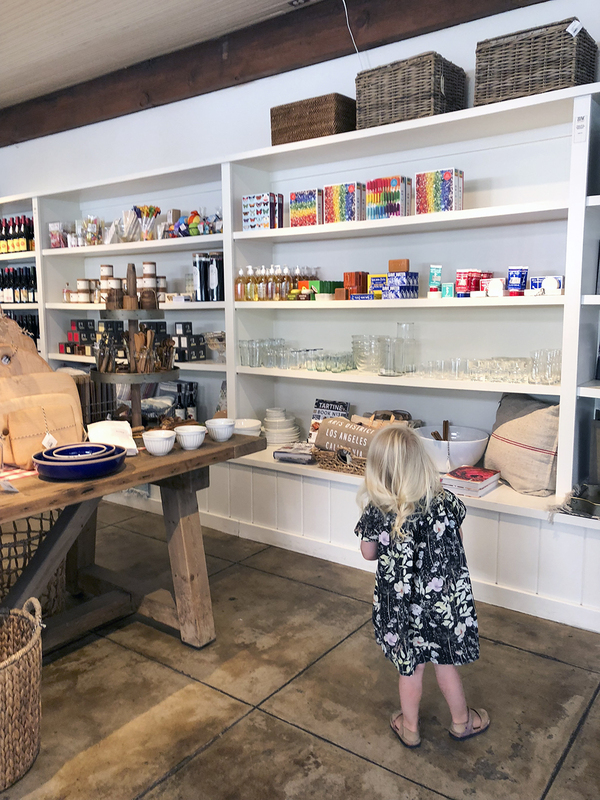 It feels like you’ve stepped inside a little neighborhood grocer in the South of France! The courtyard dining under olive trees is lovely to escape the hustle and bustle of this Downtown location. It feels like you are countryside instead of in a major city with grime and noise. 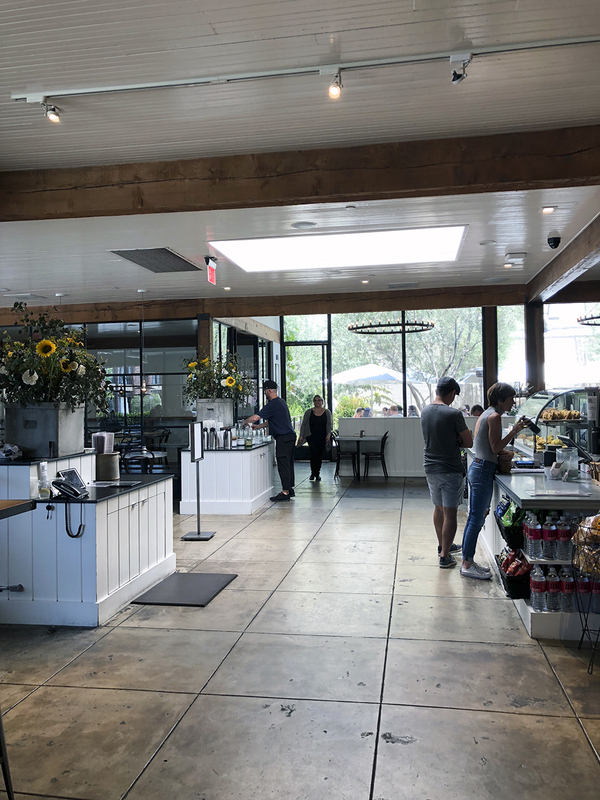 What is new to the original Zinc Cafe and Market concept is the Bar Mateo, connected to the restaurant and cafe, but located in a barn built in 1914 (!). The handcrafted drinks are a true treat! But maybe more enjoyable sans children. Parking Structure at Palmetto St & Molino St ($2 each 15 minutes, $16 max) Or Street Parking. You can make reservations online and also order in advance for pick-up or delivery. Their online market shop, this way!